Home > Are contactless cards worth the risk? It’s not difficult to see why contactless cards have become so popular. Who wouldn’t prefer to pay for small purchases like coffees and train tickets with a single tap? But while £25.3bn was spent using the contactless cards last year, new figures from Financial Fraud Action UK suggest that we should be cautious when using the technology. Contactless fraud recently grew by almost 150% in 2016 – increasing from £2.8m to £6.9m in the space of a year. This might only represent 1.1% of total card fraud, but with contactless adoption still on the rise, it’s worth knowing the risks. In 2015 the consumer comparison website Which? discovered a flaw in contactless cards using a card-reading technology which is easy to obtain online. They were able to remotely steal details from a number of sample cards, using them to make purchases including a £3000 TV. 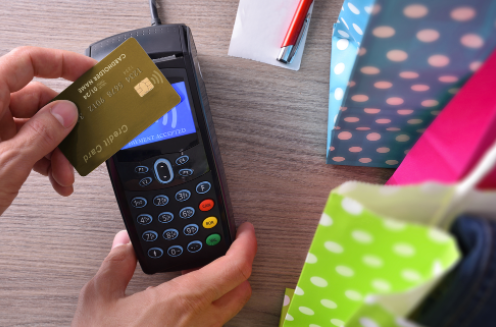 While a £30 limit exists on payments made in store on contactless cards, this exploit makes the limit irrelevant, as it only requires the card details which you would typically use in an online purchase. A more immediate risk comes from the fact that many businesses process contactless payments offline, with card machines storing up a number of payments which will be processed long after the transaction. This allows fraudsters to use cards which have been cancelled, often without the victim’s knowledge, as some banks don’t inform their customers when a cancelled card has been used. This places the onus on customers to discover and challenge fraudulent payments on their cards, which can be difficult considering the huge range of minor transactions which they are now used for. There are a few key steps you can take to avoid contactless fraud. While it might sound like the equivalent of wearing a tin foil hat, using a specially lined wallet could help to prevent your card from being ‘skimmed’ (having its details stolen) by scammers. You should also be careful to never hand over your card to servers in bars, cafes and shops who may use the opportunity to run it through a skimming device while out of sight. Asking for receipts is also important, as they frequently aren’t offered to contactless users. Frequently checking your transactions will help to ensure that you are aware of any unusual transactions and that you aren’t being overcharged.